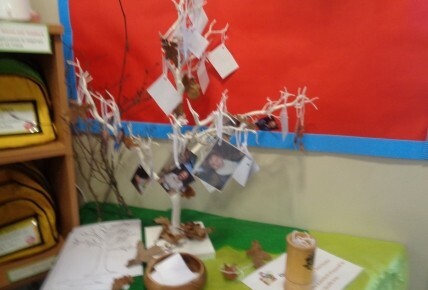 We created our very own Thetford Busy Bees Family Tree, with all staff & children from Nursery having their picture either printed and put on our tree or there own drawn picture of themself. We had to extend the branches as our family tree is very big at Thetford Busy Bees! Lovely to see lots of wonderful smiley faces! Pre School and Daffodils had a very busy day drawing there family trees. With Sweet Peas enjoying their sensory paint Tree. Buttercups were looking at all about me, highlighting their features by drawing them on lamenated pictures of themselves.